Developing (collaborative) intellectual or technological tools that help in validating the authenticity and integrity of factual claims. Proofs of concept on redeﬁning classical cataloging work with the help of emerging machine learning technologies (data classiﬁcation, neural networks); implementing a recommendation model; predicting the possible sufficient metadata towards automatic cataloging; generating a new kind of research experience through analysis of user behavior and usage statistics. Recipients will be supported for 3 months, starting on September 1, 2019. Fellows will conduct their research at Blinken OSA in Budapest. During this time they will work on their research topic which combines technology, humanities and social science perspectives. 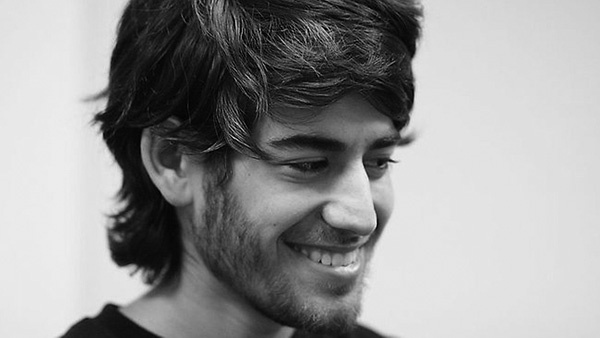 The Aaron Swartz fellow will complete her/his project by the end of the fellowship. Blinken OSA supports research towards an application; a research paper with concrete technical proposals; a white paper with policy and/or technological guidelines. The fellow will have the opportunity to give a presentation or workshop to the staff of Blinken OSA and the interested faculty and students of CEU and to cooperate both with the staff of the Archives and also interested faculty members of CEU (from the Center for Media, Data and Society, the Initiative for Regulatory Innovation , the School for Public Policy, the Department of Cognitive Science, Department of Mathematics and its Applications, the Center for Network Science). To be eligible for the fellowship, applicants must have demonstrable results in technology and humanities. Fellows may not hold other appointments throughout the duration of the Fellowship. International scholars will be considered for the scholarship. The Selection Committee will announce the Fellows in April 2019. All applications and attached materials are due no later than March 15, 2019, 11:59 p.m. CET, late applications will not be considered. Please email your applications to Vera and Donald Blinken Open Society Archives (Blinken OSA) at Central European University (CEU) at asf@ceu.edu.